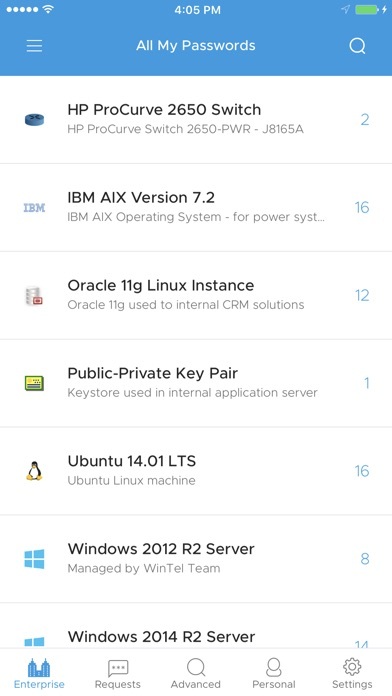 Password Manager Pro's iOS app brings enterprise password management to your fingertips. It is as secure as the Password Manager Pro installation and ensures data security with AES-256 encryption. 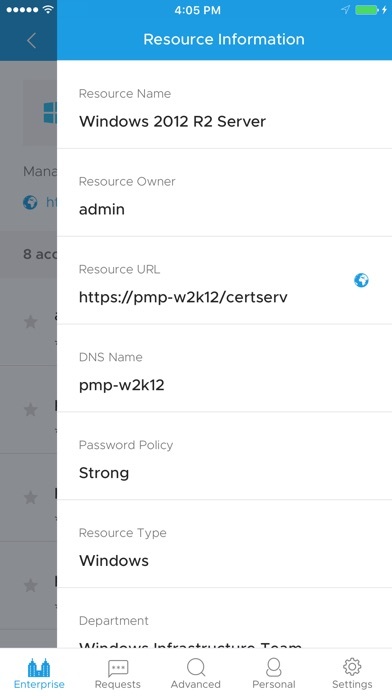 With this easy-to-use app, you can: >> Empower authorized users to securely retrieve their passwords anytime, from anywhere. 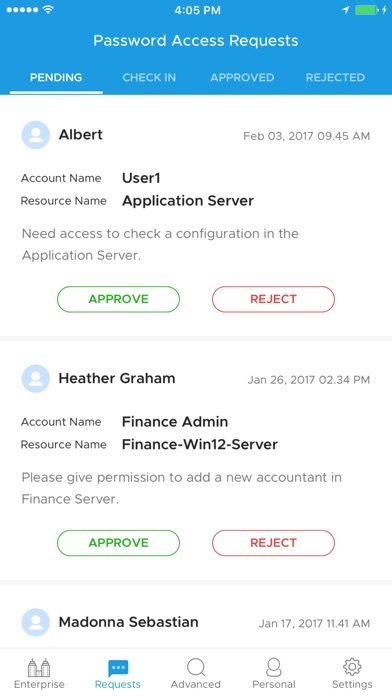 >> Let application admins to review and approve password access requests from employees and third-parties. >> Allow offline access to passwords. 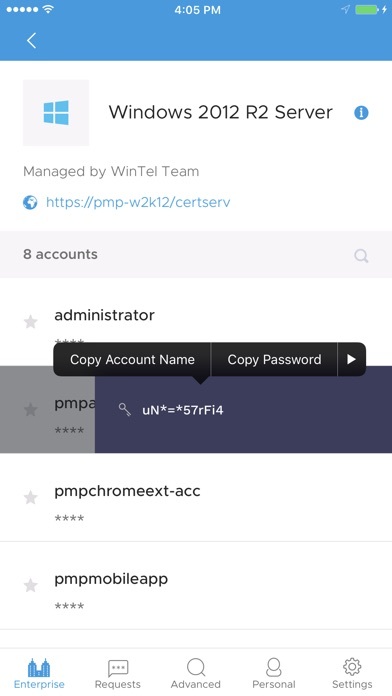 All password operations carried out using the mobile app are captured in Password Manager Pro's audit trails. Note: This app requires an installation of ManageEngine Password Manager Pro.